Four burners creates four cooking zones. Sturdy construction and four wheels. Grease drain can get clogged with food causing grease to miss the grease trap. 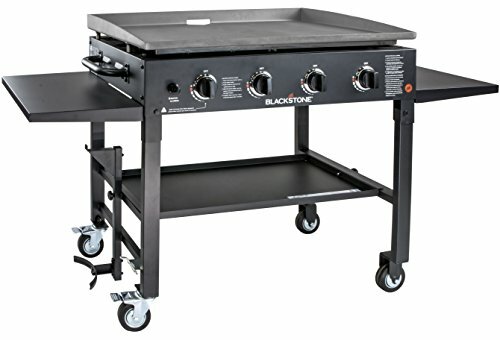 While portable, it is a heavy grill. 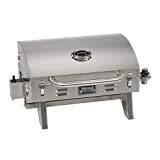 With all of the excellent reviews, one could hardly go wrong with this grill if you like to cook with restaurant style equipment. It’s important that note that this is a griddle and not a grill as we normally think. 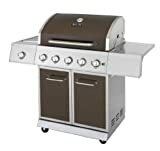 Therefore, it has a solid surface for cooking as opposed to a grill. The solid surface allows you to cook loose food such as rice, pancakes, vegetables, fried eggs, etc. It has four cooking zones that allow you to cook different kinds of food at the same time. And, it has a whopping 750 square inches of cooking surface along with four independent burners for a total of 60,000 BTU’s.